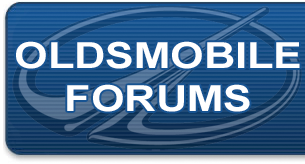 Other Oldsmobile Models Forum specifically intended for discussions regarding Oldsmobile models not currently listed. 1991 Custom Cruiser broken power antenna. Very rare part - only fits Custom Cruiser, Caprice and Roadmaster. Part number search yields one hit that purports to sell an aftermarket kit that will work. It does not. Bracket will not connect and adapter will not fit the antenna lead. Wound up buying a $9.99 Autozone telescoping fixed antenna. You will need to remove the lead from the broken power antenna, machine off the screw on connector, then fit it to a GM adapter. Only the original lead will mate with the radio antenna lead. With steel ineer fenders, this is not a job for the faint of heart.